Opi Lacquer Set ... Go! 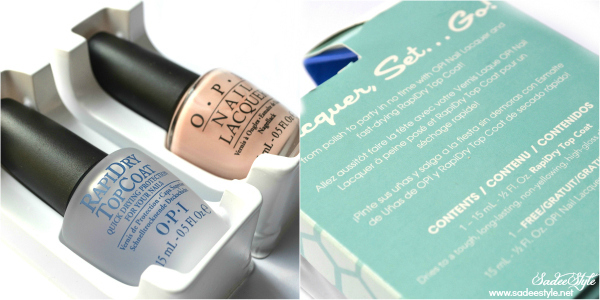 Today I'm reviewing Opi Lacquer Set ... Go! 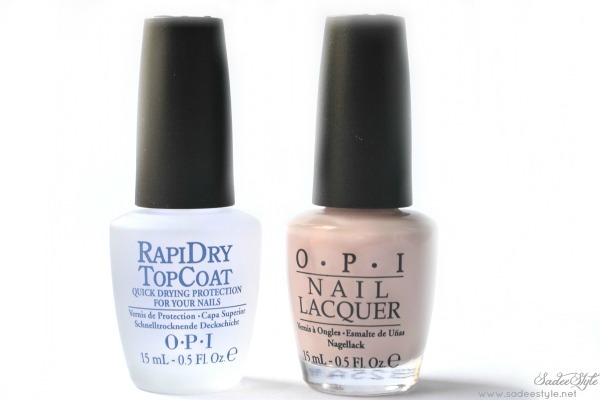 which contains OPI bubble bath and OPI Rapiddry Top Coat (review here). I already wrote a review for RapidDry TopCoat and had a mixed feelings about rapiddry so today my main focus is bubble bath. Bubble Bath is a sheer delicate pink color that doesn't scream color, but its enough to notice. Well! I don't do nail polish often, but when I do I like dark opaque shades like red, golden, green and blue, light shades does not attract me. So I wasn't very excited when I got Opi Lacquer Set ... Go. It seems this color is only good for french mani's & base coats, but it totally changes my mind after applying it because it turned out really pretty and clean on my nails. If you like a manicure that is soft and subtle this would be a great choice. It has a beautiful glossy finish even without top coat. Ideal nail polish to wear when you want clean, sophisticated, polished nails. The formula is quite thin, you probably need three coats to get the opaque look, but when you are doing manicure just one is fine. It makes my nail look like so polished, clean and glossy! I would recommend it as a simple French mani color. I love natural colors, they look so delicate on nails. Lovely colors & yea they look natural. Nicely explained. I was just reading your article and trust me it was all worth written. You have mentioned about Women Dresses really well.